The Lady Bisons closed out a 2-1 series win against North Alabama this weekend at Draper Diamond, scoring nine runs with three home runs to win the final game in five innings. The Bisons (29-13-1, 8-4) won the first game on Saturday 4-1 thanks to a home run from Hannah Devault in the bottom of the third inning and a two-out two-run double from Peyton Ward at the bottom of the fourth inning. 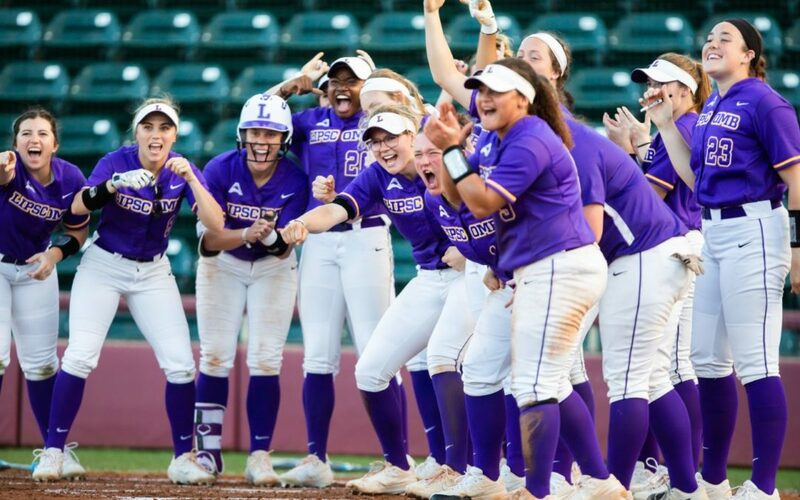 Saturday ended in a split doubleheader when North Alabama (18-16, 4-8) clinched the second game 5-4, pulling ahead in the sixth inning on a bases-loaded error, sending North Alabama in for a go-ahead run. The Bisons kept pace with the Lions scoring back-to-back doubles in the second inning and tying up the game 2-2 in the third inning. In the fifth inning, the teams traded two-run outings, tying up the game 4-4 but ultimately fell short at the end. Head softball coach Ryman said she felt the win didn’t fully show the potential of the team despite the big hit from Devault and the win from Pitcher Mandy Jordan. Going into the second game on Saturday, Ryman said the team needed to be more intentional about supporting the strong at-bats and playing more cohesively. The Lady Bisons didn’t have much time to recover before they were back on the field to face the Lions again. Despite the doubleheader split on Saturday, the Bisons came into Sunday’s final game ready to take home the series win beating North Alabama in five innings due to the run-rule. Katie Turner made her first collegiate home run with bases loaded scoring the first points of the game in the second inning. Jenna Pealor added another home run later in the second to finish off the nine-run inning. The Lady Bisons continue their season Friday playing Stetson at Draper Diamond at 4 p.m. and 6 p.m. for a doubleheader.